The end of the Canfield Fair on Labor Day always marked the beginning of school when we were growing up. Usually the first day of school was the Tuesday after Labor Day. Before that happened I would have to go through the dreaded ritual of getting measured for new school clothes and buying new shoes. Mom would get out the tape measure and then we would look through the Sears-Roebuck catalog and order clothes. Truth was, I wasn’t one of the “cool” kids, and catalog-ordered clothes probably didn’t help, but I was kind of a “geeky” boy even back then so I was probably oblivious most of the time! Anything fashionable would be wasted on me. Durable and inexpensive was better. We always learned about our new teachers on our report cards at the end of the year. So when we gathered outside of school, Washington School in my case, the big subject of conversations were what each of the teachers were like. After first grade, I found out that my second grade teacher was Mrs. Smith, the same teacher I had had for first grade. I thought I flunked! Instead, she moved up a grade along with me. That wasn’t so bad–I always liked Mrs. Smith, except for the time that I discovered that the answers to quizzes in our reading workbook were in the back of the workbook. She tore the pages out! Schools these days publish school supply lists ahead of time. As I recalled we learned what school supplies we needed after school began, which meant going out and shopping for No. 2 pencils, protractors, and whatever else we would need for class. My wife used to love this and organizing all her school supplies in her pencil box. Some kids would have Peanuts (boys) or Barbie (girls) pencil boxes. For me, the pencil box was usually an old cigar box. When we got older, we began to get textbooks, so one of the first things we did each year was make book covers. There were fancy ones you could buy in the stores with superheroes, rock bands, or even the name of your school, but in our house, book covers were brown paper grocery bags (courtesy of the A & P at which we shopped) on which we wrote in magic marker the subject and my name in smaller print. Seems we usually had to re-cover the books a few times during the year. First days of school were usually fun. Somewhere in there was a school assembly talking about safety issues and other things. We usually had a fire drill–nice because it was still warm outside. We also had Civil Defense drills. This was the 60’s when we were in a Cold War with Russia and there was fear of nuclear attack. We would shelter in our school basement. Not sure how much good that would have done! Teachers usually eased us into homework, printed out on mimeographed worksheets. There was the inevitable theme on “what I did on summer vacation”, always kind of challenging because we didn’t vacation much–just went swimming, played baseball, read a few books from the library, went to Idora Park and on family picnics. The trick was to figure out how to make that interesting. At the end of the day, I always remember mom asking, “how was school?” I’d tell her about the teacher and who was in my class and what supplies I would need. And off we would go into another school year. What were your memories of the first days of school? Pretty similar, although I am a decade older. No Peanuts or Barbie for us! 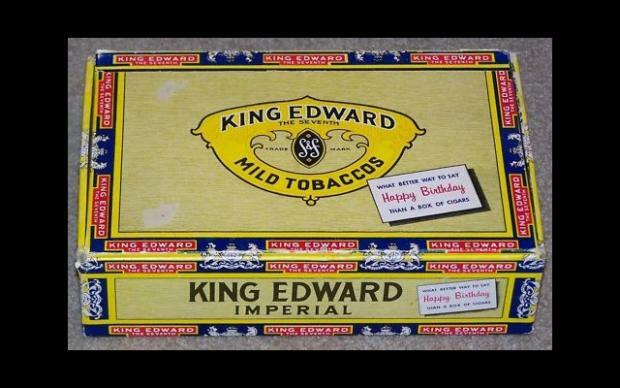 My day used to bring home cigar boxes from the bar across the street from our house. School clothes were uniforms. Just as well because I was awful hard on clothes. I remember those days very fondly. I went to St. Mary’s in Canton. Everything was black and white in those days. We were taught the rules and expected to behave. Any punishment at school was just an intro for what we got at home. Thanks for sharing these memories, Loretta!